Sign up to Dry July Australia 2018 and raise funds for Ballarat Regional Integrated Cancer Centre. Thank you to everyone who has registered and donated to BRICC so far. This year’s funds will go towards the BRICC Wellness Oncology Massage program, both here at BRICC and through our Wellness on Wheels Oncology Massage in Stawell. Oncology massage is a specialised form of therapeutic massage involving gentle pressure techniques, performed at BRICC by massage therapists with specialised training, which aims to improve quality of life for people with a diagnosis of cancer. Oncology massage is designed to relieve tension and may also reduce levels of pain, fatigue, nausea and anxiety experienced by cancer patients. The Wellness on Wheels program, delivers oncology massage to regional centres (free of charge) with the aim of improving accessibility to populations otherwise not receiving these services. The aim was to provide wellness and supportive care programs to cancer patients at Stawell, thereby improving access to these programs and reducing travel and associated costs to patients and assist in improving quality of life. If you haven’t already registered, click the Donate button to the left and donate to support this much needed service. The Wellness Centre at Ballarat Regional Integrated Cancer Centre is designed as a welcoming retreat for patients and carers. BRICC will be using the funds raised through Dry July 2018 to maintain existing complementary programs, increase the range of programs and extend our Wellness programs to cancer patients in the city of Stawell. Complementary therapies are used alongside conventional cancer treatment to help manage the symptoms and side effects of cancer. 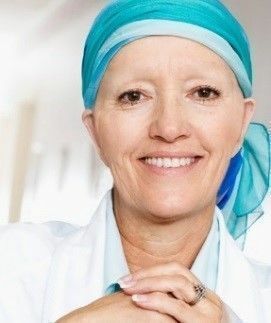 An increasing evidence base demonstrates that particular complementary therapies are valuable in reducing some of the symptoms of cancer and its treatment. They encompasses a range of programs promoting a whole-person integrated approach to health and wellbeing, focusing beyond their medical treatment, by addressing one's physical health, mental/psychological health, social and spiritual needs. Wellness programs include activities such as massage, meditation, shiatsu, art therapy, yoga, Reiki and music therapy. We're proud to announce that Ballarat Regional Integrated Cancer Centre has received a grant from the Dry July Foundation 2018 Grant Program. The Wellness Centre complementary therapy and associated programs providing support and help to patients receiving treatment at BRICC has been incredibly well received since commencement. The number of programs offered has grown from 4 in 2014, to 14 in 2015 and to 17 in 2016. Programs offered include massage, LGFB, yoga art therapy, financial counselling, shiatsu, mindfulness Delta Dogs, reiki and more. Dry July funding will continue to support programs at the BRICC Wellness Centre this year. Arbonne Independent Consultant, Virginia Rogers, visits Ballarat Regional Integrated Cancer Centre each week to provide free hand massage to patients in the BRICC Chemotherapy Day Unit. Virginia has been providing the weekly service since January 2016, thanks to the generous support of a grant from the Dry July Foundation.